Edie Tolchin speaks to young entrepreneurs. Video of Edie Tolchin speaks to young entrepreneurs. Listen to Edie Tolchin talk about her career, at recent United States Patent and Trademark Office seminar for inventors. 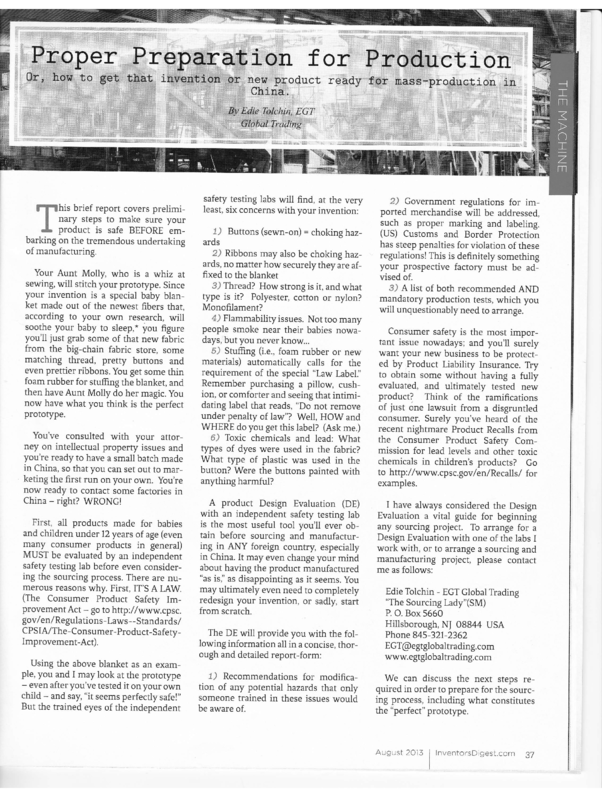 Please enjoy my article on Entrepreneur.com. 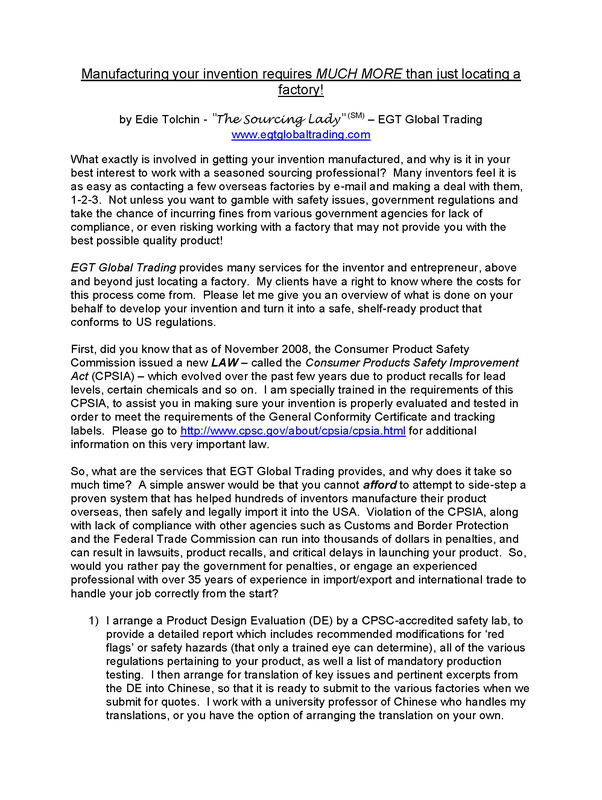 Check out EGT Global Trading’s long-time client and colleague, Maureen Howard of Baby Merlin Co, and her success story behind the Magic Sleepsuit™, a major project which Edie Tolchin has assisted in developing, sourcing, certifying, manufacturing and importing, for several years now! 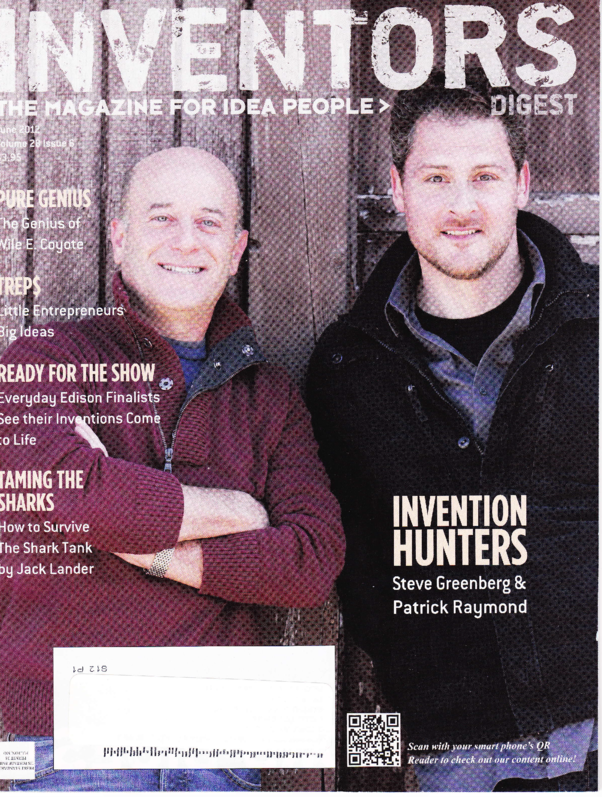 EGT Global trading is mentioned in the article "Just Sitting on the Dock of the Bay? 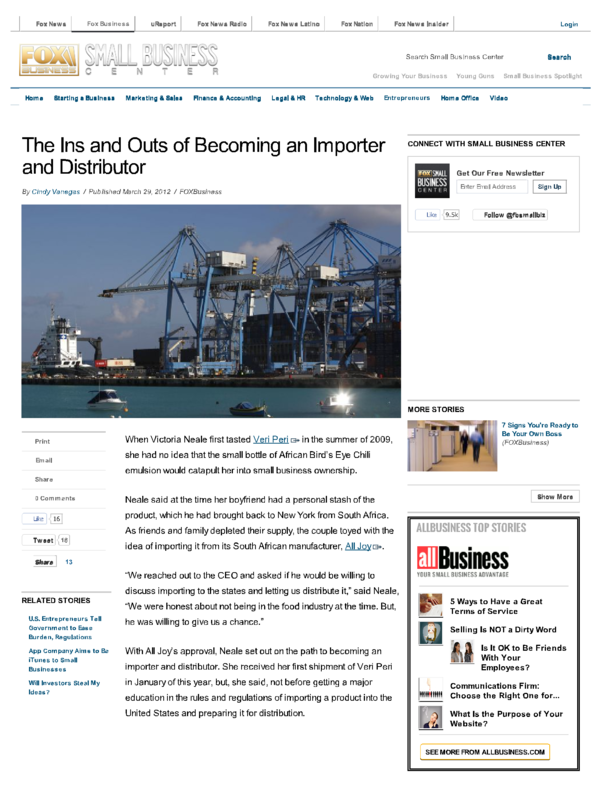 Next Time, Avoid Importing Delays" in Entrepreneur Magazine. 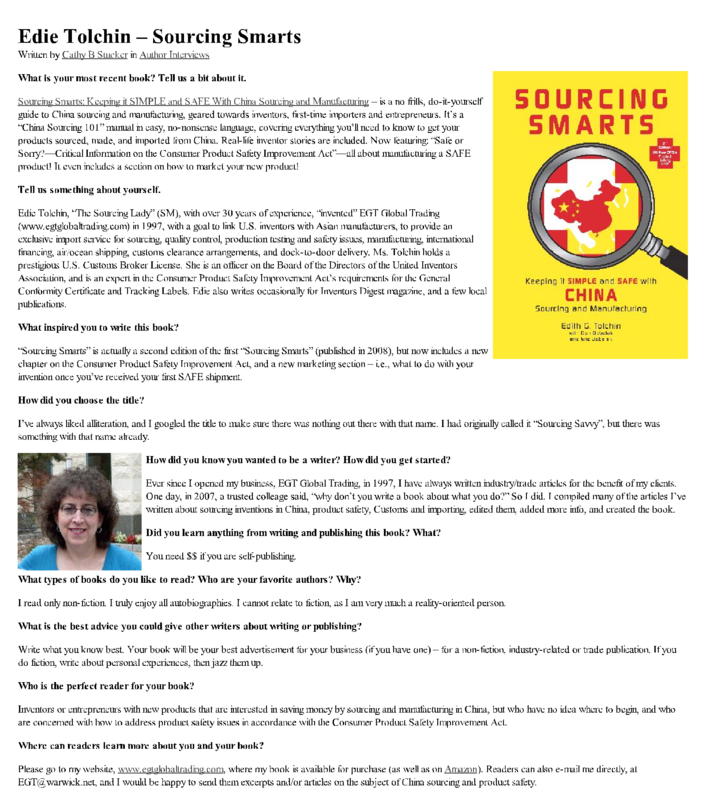 Here's a MUST-HEAR interview with Karen Waksman of Product for Profit, LLC and Edie Tolchin, speaking about manufacturing your new product or invention! 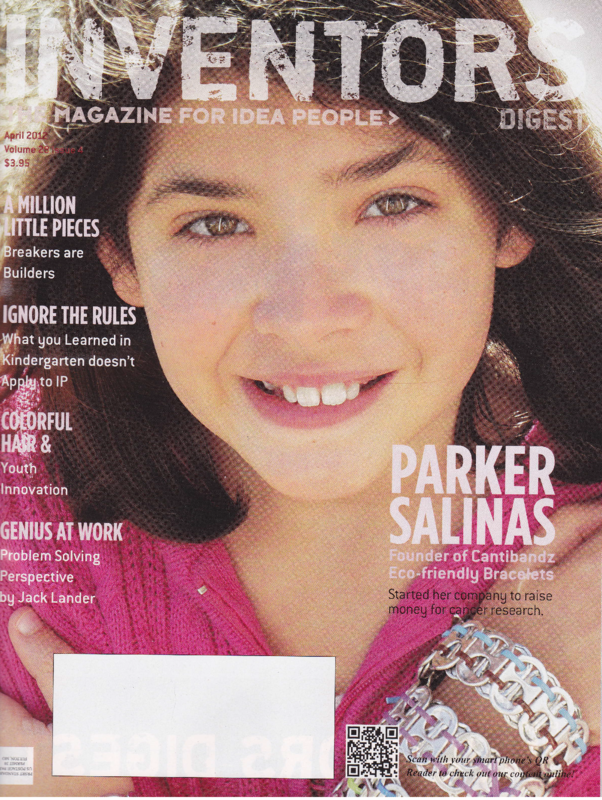 Read Edie Tolchin's article on Kid Inventors, reprinted courtesy of Inventors Digest magazine. 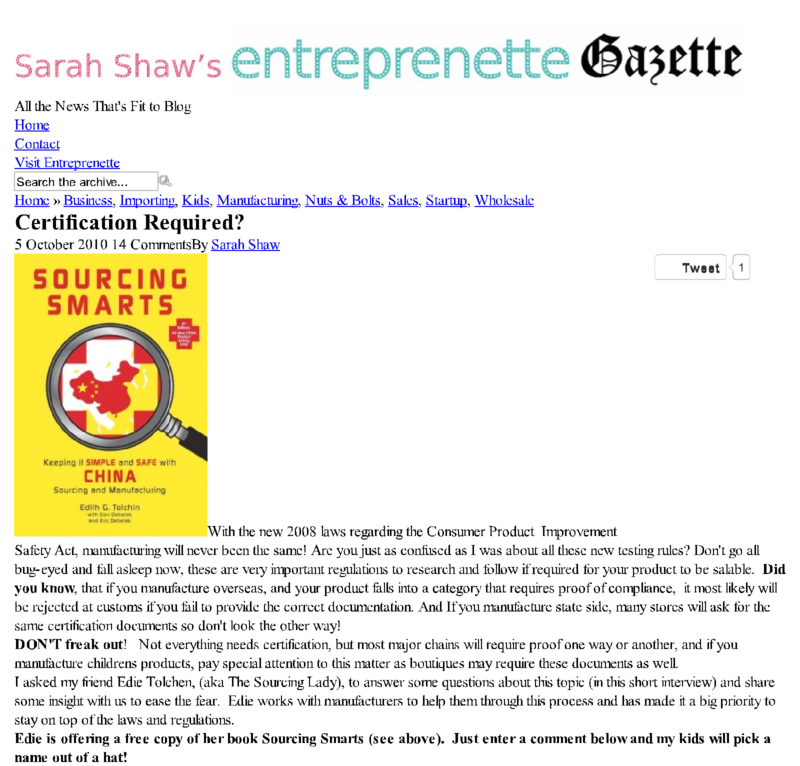 Catch Edie Tolchin’s interview on product safety, with Sarah Shaw of the Entreprenette Gazette! 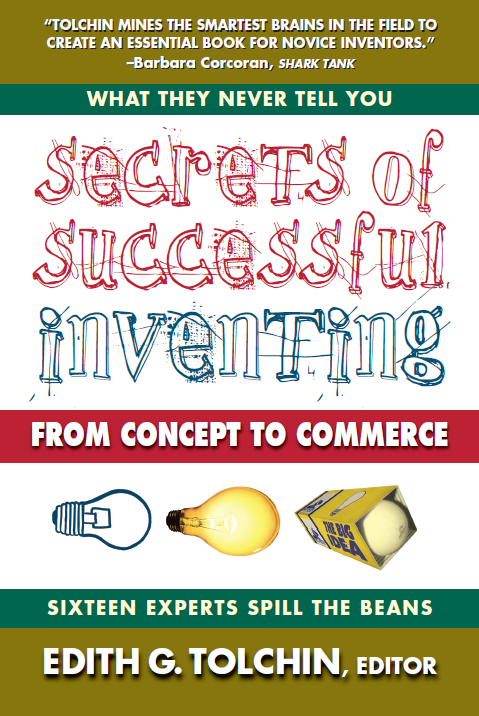 "Manufacturing your invention requires MUCH MORE than just locating a factory!" If you have any questions, feel free to contact EGT Global Trading. As of 11/12/08, the Consumer Product Safety Commission has called for a new requirement for most consumer products. Details are still being finalized, but it pertains to most consumer products. 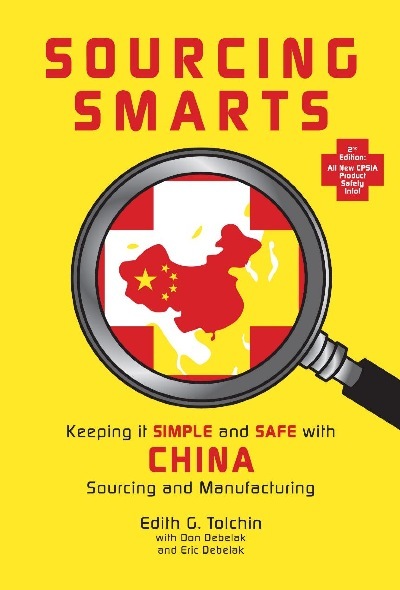 It will call for a General Conformity Certificate to accompany all shipments, certifying that the products have been tested and meet with whatever testing standards pertain to that particular product, and will need to be signed off by both the manufacturer and importer. I am working on obtaining the updates necessary to assist my clients with this new regulation, and the preparation of the required General Conformity Certificates (GCC). Please feel free to contact me to help you begin the necessary procedures for this requirement.